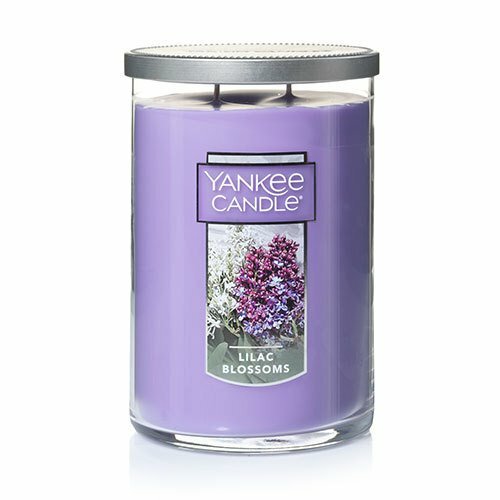 An alluring grove of lavender, white, and deep purple lilacs. Filled glass candle with brushed metal lid. 22.7 oz., approx. 70 to 90 hours burn time.